Turtlenecks have such a bad name. It's unfortunate, really, as they make so much sense in those colder climates. 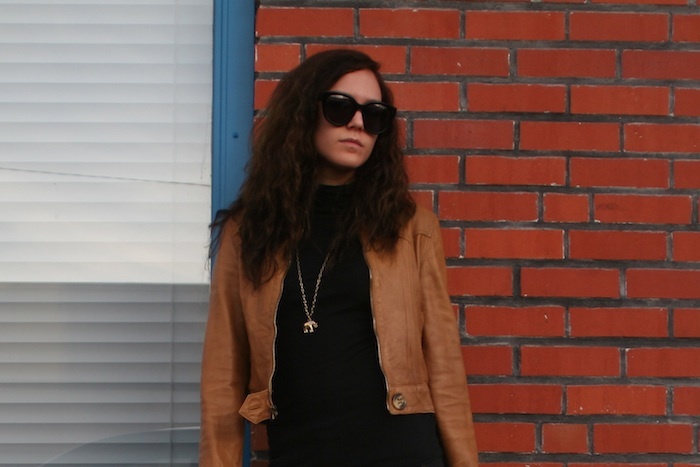 Either way, they were beatnik approved, and The Glamourai's recent beat-inspired installment had me dressing like one. Minus the accessories, of course. Mike & Chris leather jacket (similar), James Perse turtleneck (similar J. Crew), Rich & Skinny jeans (similar), J. Crew necklace, Steven by Steve Madden shoes (similar J. Crew), Céline sunglasses, Nordstrom beanie, Louis Vuitton Speedy. I really like your loafers too! Loving this look! those leopard loafers are wonderful! 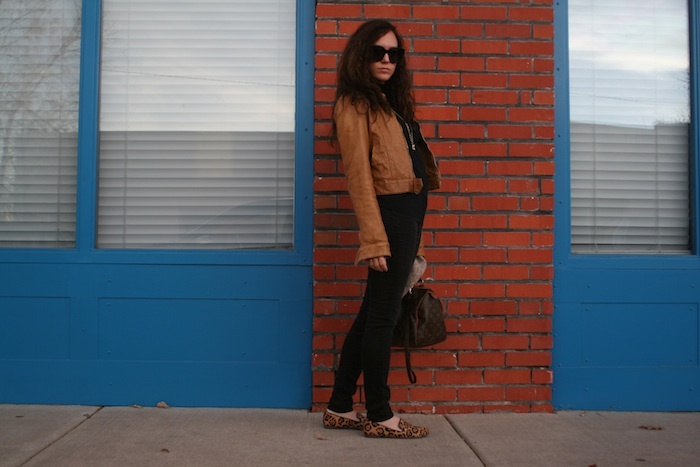 love your leopard loafers, such a cute look! AWESOME, THE SHOES ARE MY FAVORITE!!!!!!!!!! I haven't worn a turtleneck in years but I think there is nothing wrong with them whatsoever. And you're completely rocking this one anyway! I also love your leopard loafers here! Great look - and loving the necklace!! Very cute look! I love the jacket and those flats! the jacket looks awesome, and love the hat addition!! Love your jacket and your shoes!Following you on GFC.Hope you'll follow me back! Your loafers are so cute!!! Thanks for stopping by my blog:) Very sweet of you. Love the beanie on you!!! Fantastic look! You cropped jacket is amazing! love your jacket ! Your flats are very nice ! Love those shoes and such a great colour jacket! This outfit is really nice! 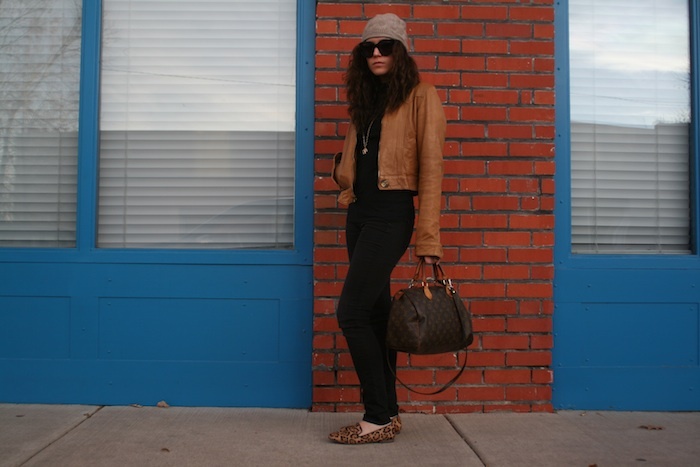 That hat looks so cute on you, and love those leopard flats! I'm in love with your flats! Looking great! Love your shoes! 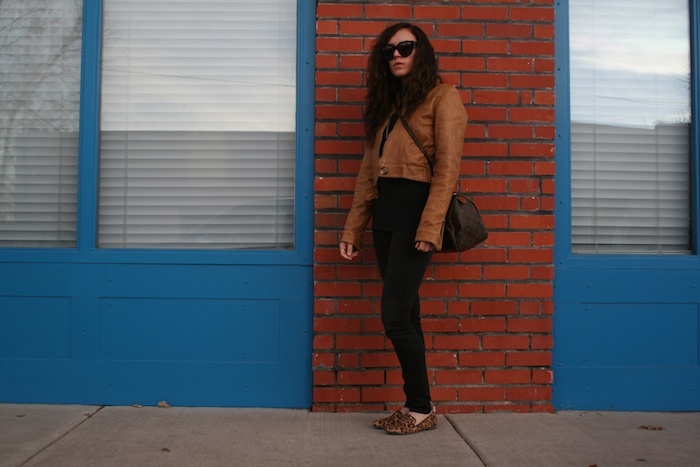 I really like black and camel combination!! Great choice!